Activity Makers launched a Kickstarter campaign for President Wars, a card and dice game where Presidents battle one another. I'm guessing Teddy Roosevelt is like a trump card that always wins or something. 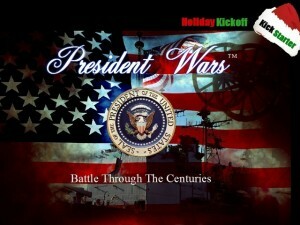 Ever wonder who would win in a fight between President Obama and Abraham Lincoln?.....Here's your chance!